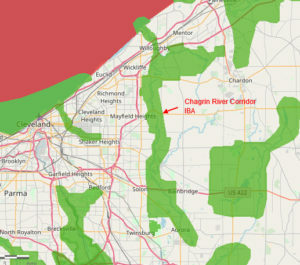 Thanks to Matthew Valencic who suggested, on behalf of the Audubon Society of Greater Cleveland, two new hotspots in the Chagrin River Corridor Important Bird Area. Thanks to Jason Larson for suggesting a new hotspot in Holmes County. This is a good place to watch and listen for Wilson’s Snipe. The roads in this area traverse privately owned properties. Please view birds from the roadside only. 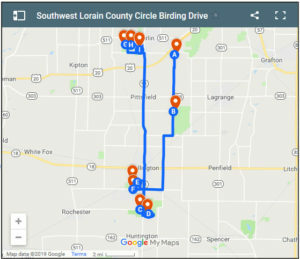 Thanks to Patty McKelvey for designing and submitting this new circle birding drive in southwest Lorain County.